What Estate Planning and Financial Planning Moves Should I Make Before 2017? If you are one of the individuals who felt like the New Year came up far too quickly for you to accomplish your estate planning goals, you are not alone. The good news is that you can make some changes now in order to be prepared for when 2017 arrives. Getting ready now allows you to capitalize on the momentum for the new year and get these things accomplished before it’s 2017 already. 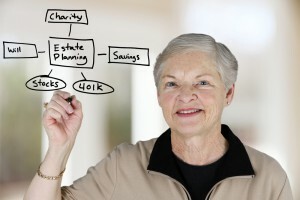 Some of the most common ways that you can do this include giving to charity, making gifts to family, checking your beneficiaries, applying for social security, if applicable, setting up life insurance, and putting together a meeting to address powers of attorney, an updated will and your health care proxies. Looking at this initially can seem a little bit overwhelming especially if you feel like you were not able to accomplish your estate planning goals last year. The good news is that setting up a meeting with an experienced estate planning attorney now gives you the remainder of 2016 to accomplish these goals. With someone who knows what they are doing, it should not take more than a couple of meetings to outline all of these details and to determine whether you need to update any other existing documents you may have related to your financial and estate planning. Consulting with a knowledgeable New Jersey estate planning attorney can also help you get all of your questions answered and assist you with clarifying some of your goals about estate planning in general.